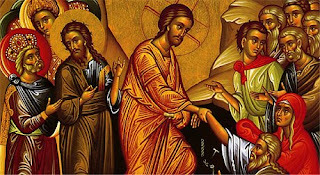 The CopticChurch.net & Tasbeha.org team would like to wish you all a blessed Holy Week. May the Lord grant us all the grace to gather for ourselves a spiritual treasure during this holiest time of the year. We would like to share with you the latest on our websites relating to Holy Week. Live Broadcasts We will be broadcasting Holy Week Services live in both video and audio. This includes Palm Sunday, weekday services, Good Thursday, Good Friday, Bright Saturday, and Resurrection Liturgy. Holy Pascha Book: Order now to get in time for pascha week. E-book available for purchase as well. Bright Saturday Book: Newly released. Order now. E-book available as well. We would also like to remind you of the huge amount of hymns that are available for Palm Sunday, Holy Week, Bright Saturday and the Feast of Resurrection.